Looking for a Used M-Class in your area? CarGurus has 3,660 nationwide M-Class listings starting at $2,499. 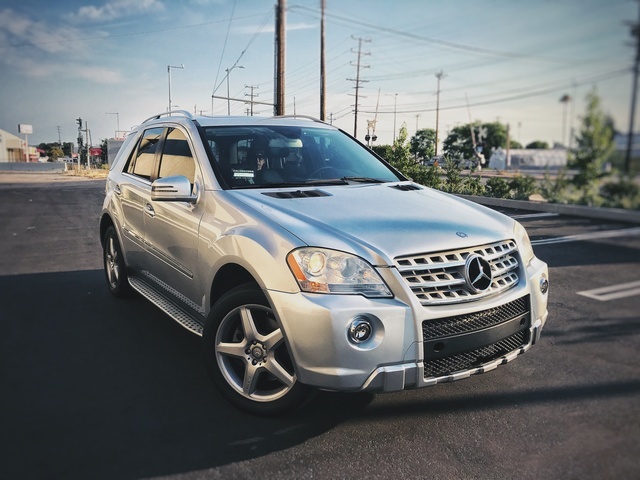 The 2011 Mercedes-Benz M-Class midsize SUV continues to deliver a winning combination of agile handling, a smooth ride, a sleek exterior, and plentiful cargo space, as well as a diverse lineup with something for just about any discerning buyer. Taller passengers will find a tight fit in the back seat, and many of the options remain too high-priced, causing some to question the 2011 M-Class's overall value, especially when matched up against competitive vehicles. For the right buyer, the 2011 Mercedes-Benz M-Class continues to hit the sweet spot. It delivers just about anything you could want in a midsize SUV, including stellar looks, capable performance, and just about any comfort-oriented, safety, or tech item currently available. 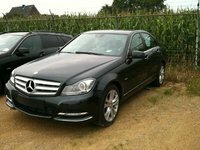 Of course, it all comes at a cost, and many loyal Mercedes owners remain committed to the vehicles with the three-pointed star, despite the fact that some competitive vehicles, including those from Lexus, Acura, Lincoln, and Infiniti, offer better overall values. With its mid-generation refresh two years old and a new generation due in the next year or two, the Mercedes-Benz M-Class received only a few minor updates for 2011. The automaker restyled the M-Class's heated power exterior mirrors and added a new inside rear-view mirror with an integrated compass. In addition, Mercedes added its new mbrace communications package to the M-Class's standard equipment list. The standard mbrace package includes such features as automatic collision notification, roadside assistance, stolen vehicle location assistance, and remote door unlock, among other features. An optional mbrace Plus Package adds such additional features as route assistance, location-based traffic and weather, and access to Mercedes-Benz concierge services. Finally, Mercedes offers a new optional Blind Side Assist system for 2011. The Mercedes-Benz M-Class midsize SUV comes in ML350, ML550, and ML63 AMG trims, each with a different gas powerplant. In addition, the automaker added a new ML450 Hybrid trim to the lineup during the 2010 model year. Outside, the M-Class continues to display a contoured, sporty look, with a low, wide stance, silver-painted front grille, boomerang-shaped multi-element headlights, muscular wheel arches, short overhangs, and wraparound taillights. Integrated LED front foglights, heated power mirrors, and chrome exhaust tips complete its exterior design. All M-Class trims ride on a rear-wheel-drive platform, and each comes equipped with a different powerplant. The base ML350 trim retains its 268-hp, 3.5-liter DOHC V6 engine, which generates 258 lb-ft of torque. The V6 features continually variable timing on both the intake and exhaust valves, which helps conserve fuel while ensuring quick acceleration. The ML350 manages a 0-60 time of 7.9 seconds and posts fuel economy numbers of 16/21 mpg. The V6 engine provides good performance around town during everyday driving situations or under typical highway cruising, but some owners and reviewers find it a little lacking on inclines, when the vehicle is heavily loaded, or when towing. Prospective owners who require more power can opt for the ML550 trim, which retains its 382-hp, 5.5-liter V8 engine. The V8 produces 391 lb-ft of torque, which drives the ML350 from 0-60 in 5.6 seconds. However, fuel economy numbers suffer, checking in at 13/18 mpg. Both the V6 and V8 engines mate to a seven-speed automatic transmission with closely spaced gear ratios, which helps ensure smooth acceleration while conserving fuel. Two overdrive gears also help improve fuel efficiency at highway speeds. The transmission includes the Touch Shift feature, which enables drivers to upshift and downshift manually using paddle shifters mounted on the steering wheel. At the top of the line in the power department, the ML63 AMG jumps out from 0-60 in just 4.8 seconds, thanks to its beefy 6.2-liter V8 engine, which puts out a whopping 503 hp and 465 lb-ft of torque. Naturally, fuel economy numbers suffer, with the big V8 ekeing out a lowly 11/15 mpg. The engine links to an AMG Speedshift 7G-tronic seven-speed automatic transmission with three driver-selectable shift modes, including Sport, Comfort, and Manual. The new ML450 Hybrid does somewhat better in the fuel-economy department, posting respectable numbers of 20/24 mpg. Its full-hybrid gasoline-electric powerplant consists of a gas-powered V6 engine coupled to two electric motors, producing a combined 335 hp and 381 lb-ft of torque. The ML450 Hybrid can run on either gas or electric power alone, or both combined for a performance boost. In stop-and-go traffic, the SUV uses electric power alone, thanks to an engine stop-start system, which helps improve efficiency. The powerplant includes a continuously variable transmission with Sport and Economy settings to suit individual driving styles. The ML550 and M63 AMG trims come equipped with Mercedes' 4MATIC all-wheel-drive system, which features a permanent 40/60 front-to-rear torque split. It includes a one-button off-road driving program, which recalibrates the braking, transmission, traction control, and stability control systems for optimal off-road driving. Driver-activated Downhill Speed Activation, which automatically manages the throttle and brakes on steep descents, also comes standard. The M-Class SUVs have a towing capacity of 7,200 pounds. Despite its heaviness and high center of gravity, the M-Class handles well in just about every situation. Owners find its handling responsive and agile during around-town and highway driving, although the SUV does exhibit some body lean when cornering. Steering gets mixed reviews, with some finding it quick and responsive while others call it numb and sometimes heavy during hard turns. All M-Class SUVs feature an independent double-wishbone front suspension with a stabilizer bar, and an independent four-arm multilink configuration with a stabilizer bar in the rear. Rack-and-pinion steering with constant power assist comes standard on all trims. The M63 AMG adds an AMG sports suspension, based on the Airmatic suspension. It features AMG-specific struts and shocks tuned for a firmer ride, which result in less body movement and roll. The ML350 and ML550 ride on 19-inch alloy wheels with all-season tires, while the ML63 AMG cruises on 20-inch AMG-designed alloy wheels with high-performance tires. The M-Class's luxury-oriented interior receives generally high marks from owners and reviewers. Seats are wide, comfortable, and supportive, with plenty of legroom and headroom in the front. However, taller adult passengers may find legroom in the rear seat a bit tight. Controls are well laid out and easy to access, and a column-mounted gearshift ensures plenty of storage space in the center console and armrest. Mercedes' MB-Tex leatherette upholstery comes standard in all trims except the ML63 AMG, although owners can opt for an available full-leather seating package, which adds hand-fitted leather to seats and head restraints, as well as to the doors and front center armrest. The package also includes ambient lighting in the form of low-intensity LED lights in the footwells and around interior door handles. The M-Class comes equipped with such standard features as eight-way power-adjustable front seats, Burl Walnut trim, dual-zone climate control, a power sunroof, and an eight-speaker audio system with speed-sensitive volume, a 6-CD changer, and an MP3 input jack. In addition, Mercedes includes a stripped-down version of its COMAND communication system, which integrates with the audio system and enables drivers to make hands-free calls. An upgraded version of the COMAND system, which adds a 6.5-inch color screen, a 40-gigabyte hard drive, and a navigation system with Zagat reviews, comes standard in the ML450, ML550, and M63 AMG. The ML450 also includes an in-dash 6-CD/DVD system, while the ML550 adds heated front seats as standard equipment. The top-of-the-line ML63 AMG trim ups the luxury quotient with such standard features as Nappa leather upholstery and a 610-watt, 11-speaker Harman Kardon audio system with a 6-CD changer. In addition, the ML63 AMG includes a number of unique features designed by AMG, Mercedes' in-house sport tuner, including AMG front sport seats with side bolsters, an AMG-designed ergonomic sport steering wheel, brushed stainless steel sport pedals with black rubber pads, and an AMG instrument cluster. Cargo space for the M-Class comes in at 29.4 cubic feet with the rear seats up and a respectable 72.4 cubic feet with the rear seats folded down. Interior storage spaces aren't as plentiful nor as large as expected, but still provide passengers with a number of adequate storage options. 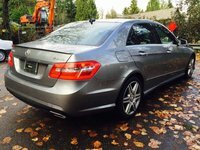 Although the 2011 M-Class has not yet been safety-tested, the 2010 version garnered good safety marks, earning five stars out of five from the NHTSA for protecting passengers during frontal or side-impact crashes. The M-Class received four out of five stars in rollover tests from the NHSTA. The IIHS gave the M-Class its top score of Good for keeping passengers safe in front, side, and rear crashes. The M-Class's eight standard airbags, including two-stage front, front and rear side-impact, and window curtain airbags, provide 10-way protection for passengers, according to the automaker. Electronic stability control integrates with a four-wheel electronic traction system (4-ETS) to ensure optimal stability on all types of road surfaces, while antilock brakes with brake assist help keep occupants safe in emergency situations. Other standard safety features include rain-sensing wipers, night security illumination, and trailer stability assist, while options includes a Blind Spot Assist system and a Parktronic parking assist. The M-Class's good looks, quick acceleration, smooth ride, and plentiful cargo space draw positive comments from owners. In addition, the wide range of standard and optional features appeals to owners, as well as the Mercedes-Benz fit and finish and the prestige of having the three-star emblem up front. However, the M-class also has a few marks against it, including mediocre fuel economy, noisy tires, and high-priced options, which affect the SUV's overall value. What's your take on the 2011 Mercedes-Benz M-Class? 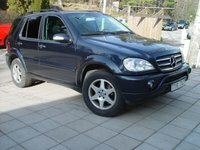 Have you driven a 2011 Mercedes-Benz M-Class?